How candidates react to video interview? How candidates react to video interview? Every once in a while we hear this question from our potential customers. 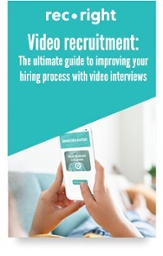 They wonder if using video interviews can affect the recruitment process in a negative way, for example because candidates would not want to record video answers. After years of working closely with both recruiters and candidates we can proudly say that it’s actually the very opposite. Majority of candidates actually prefer video interviewing as a recruiting method. Every year we conduct a candidate survey that is open to all video interview candidates. 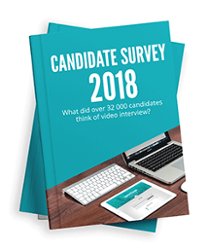 Our newest candidate survey includes the answers of over 32 000 video interview candidates. And here we have picked some examples for you. Out of all the answers, 83% were somewhat or very satisfied with video interview as a method. The same percentage also said that they would recommend video interview as a recruitment method from the candidate’s point of view. In the comments we hear it’s often emphasized that video interviews are very easy to use and are a modern way to do recruiting. Another thing that our candidates like is the freedom video interviewing brings. Candidates can answer the questions from where ever they want and whenever they want. Although, at first recording yourself can be a bit intimidating, the freedom to re-record answers makes this experience less stressful. Okay, I understand that millennials like this, but how about more senior candidates? Last year exactly 50 percent of the respondents were less than 30 years old and the other half over 30 years old. Considering the age distribution of all job seekers, it’s true that using video interviewing is more common when recruiting relatively younger workforce, but there are no indications that video interviewing more senior employees would be any less efficient. It's more about recruiter attitudes rather than candidate attitudes. Statistics regarding the level of education are also interesting. Video interviews are often used even in graduate level positions. In fact 29% of respondents possessed Master’s or Doctorate level degree. Same portion possessed Bachelor’s degree. So 58% of the candidate's that took the survey had a Bachelor’s degree or higher. Video interviews are often used in managerial positions as well, and every once in a while even in senior management or high-ranked government positions. 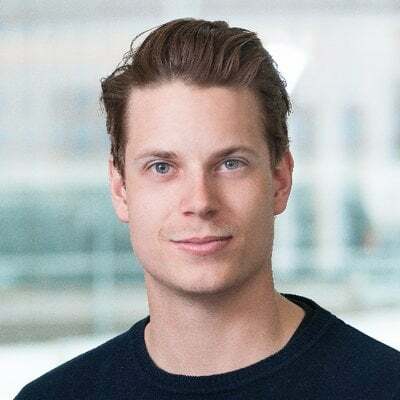 Video interviewing is not intended for certain types of positions, but is merely a tool that our customers can use where ever they find it fitting for example full-stack developers. We believe that in the future video interviewing becomes more common even in recruiting senior management. According to our customers video interviews save approximately 50% of their time during the recruitment process. But video interviews save also candidates' time. 74% of the candidates that responded to our survey spent less than one hour to answer to the video interview. This makes video interviewing a time efficient alternative also from the candidates point of view. At RecRight we are actively receiving customer feedback, both from candidates and recruiters. With this feedback we aim to develop our tool and provide better experiences for our users. Annually we also piece together and publish studies from this data. The goal of these studies is to provide you with important statistics regarding the experiences of both job candidates and recruiters. Take a further look into our latest Candidate Survey.